E is for Explore! : Mysterious Books?!? 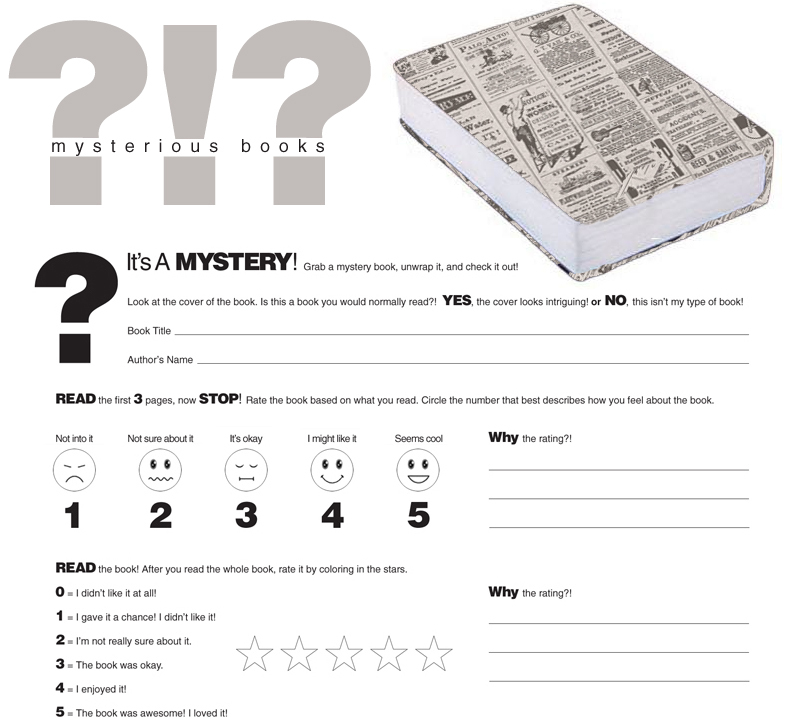 To get kids to try reading a book outside of their norm, have them go on a "blind date with a book!" Wrap books up in newspaper so the cover is concealed. They choose one of the wrapped books and rate it after the first three pages. Then, they continue to read and see if they change their mind. Click here for the printable (above) to go along with the activity!